The following is an open statement written by Seeta Chaganti, Professor of English at UC Davis. Please take a moment to read this important statement on academic freedom and racial justice. “Academic freedom” is a complicated term, in part for its ambiguous relationship to free speech. We have become increasingly willing to acknowledge that the white nationalist right exploits free speech principles to shield their destructive and murderous ideology. In other words, we are a long way from unequivocally admiring the ACLU’s defense of Nazi marchers in Skokie, IL, 1978 – as is the ACLU itself. Invoking the work of Jelani Cobb, Alex Blasdel describes an emerging recognition that “the abstract discussion of first-amendment principles can itself seem like a tactic to shift the conversation away from pervasive injustice.” The very principles underlying free speech guarantee that right more effectively to some people than to others. In academic and public spheres, there exists alongside this conversation one concerning academic freedom. As Farhana Sultana observes, their deliberate conflation has precipitated “a crisis currently facing universities and academia…where all opinions are seen as equivalent when they are evidently not.” Academic freedom is vulnerable to the misguided perceptions not only that all ideas have equal legitimacy but also that all ideas have equal access to freedom in the first place. This decision allowed a false conception of academic freedom to undermine true academic freedom. The conference leadership displayed an inaccurately absolutist understanding of academic freedom, and that inaccuracy created a space to accommodate the harm and silencing of scholars of color. The space of conferences has come to include not only the physical setting of the gathering but also the social media sites that house ancillary activity (hence ICMS’ extensive social media guidelines). In this larger space, specifically on the scholar’s Facebook page, racist harassment of the panelists and me occurred. One might argue that ICMS’ inaction regarding the conference site itself bears no relationship to the scholar’s online activities. I would submit, however, that the conference’s indifference to this scholar’s history of enabling and stoking harassment encouraged the continuation of such behavior without fear of consequence. After the conference, pictures of the session appeared online inadvertently (later removed, with apologies, by the original photographers). The scholar in question reposted these images knowing, I would contend, their power to incite certain followers to make disparaging remarks. Even if one finds the comments themselves trivial, this scholar’s use of her online space to make us vulnerable to that attention is not. Her connection to Yiannopoulos (in addition to her tagging him, he thanks her in his unpublished book acknowledgments) suggests that the images and rhetoric appearing on this Facebook page could have become available to an online community not merely derisive but angry and violent in its racism. She and her followers freely expressed themselves while the panelists and I read racialized reactions to images of our faces and bodies with mounting apprehension. After this experience, I do not consider the conference sufficiently free of the threat of harm to speak at it. True academic freedom cannot exist where such threat lies. In the wake of the 2018 conference, developments pertaining to ICMS 2019 increased my concern regarding the conference’s occlusion of marginalized voices through an inaction construed as neutrality. 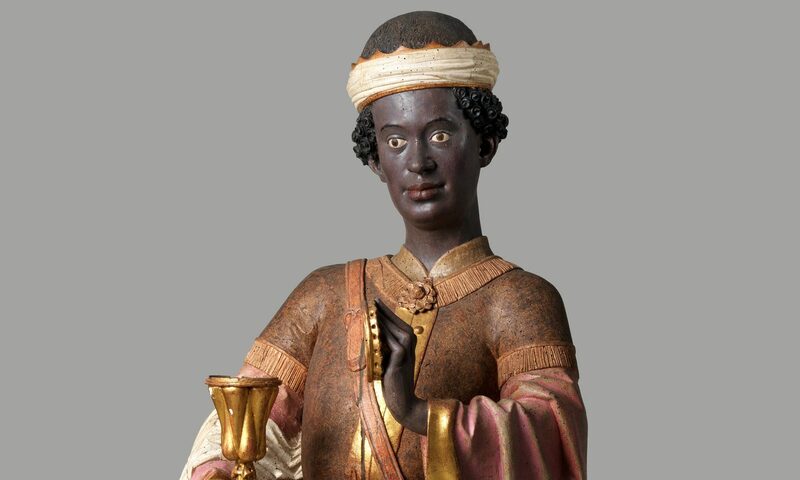 The organization Medievalists of Color (MOC) sponsored one proposed session – a continuation of the whiteness workshop – and co-sponsored four others. The workshop, a service to the medieval studies community as a whole, was accepted. The four co-sponsored sessions, on specialized topics concerning the interests and expertise of medievalists of color and their organizational collaborators, were rejected. Sessions on similar topics proposed by majority white organizations were accepted, and individual scholars of color might surely participate in those organizations’ panels and have their viewpoints represented that way: the organization MOC does not monopolize critical conversations about race. But MOC co-sponsorship formalizes the intellectual guidance provided by scholars of color in a field where we remain extremely underrepresented. The rejection pattern minimizes that intellectual guidance at ICMS. In more than one way, ICMS’ miscomprehension of academic freedom has enabled white supremacy. I shall not return to ICMS because its understanding of academic freedom cannot accommodate appropriate response to white supremacist actions and structures. I make my statement individually for two reasons. First, I aim to draw attention specifically to the academic freedom issue at stake. Second, while other letters might express demands that could be met within the current structure, I do not make such demands. I stand in solidarity with those other letters and actions: we all represent different points along a spectrum of agitation for change. But when I say “dismantle,” I advocate a radically different alternative to ICMS that would fulfill this conference’s important functions while also committing to antiracist practices and values.